Lara's Loose Threads: Recent finishes and blogiversary! I never got around to posting these last weekend, but here are the two other things I finished during my stay-at-home vacation last week. 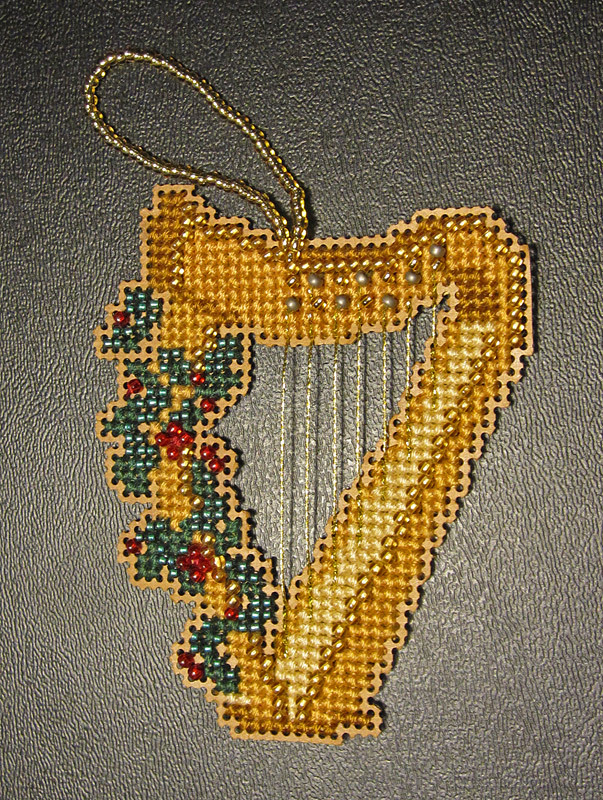 This is the finished version of the ornament that I posted a progress photo of back at the beginning of the month. 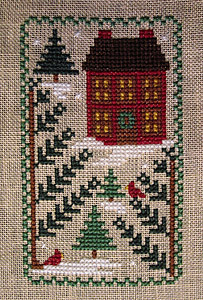 I have no idea what I'm going to do to finish it (I'm leaning towards a little pillow ornament) so it goes into the ever-growing "to be finished" basket. And this is the beaded ornament kit that I picked up during my vacation. I have the mandolin one now too and will probably get the whole set. 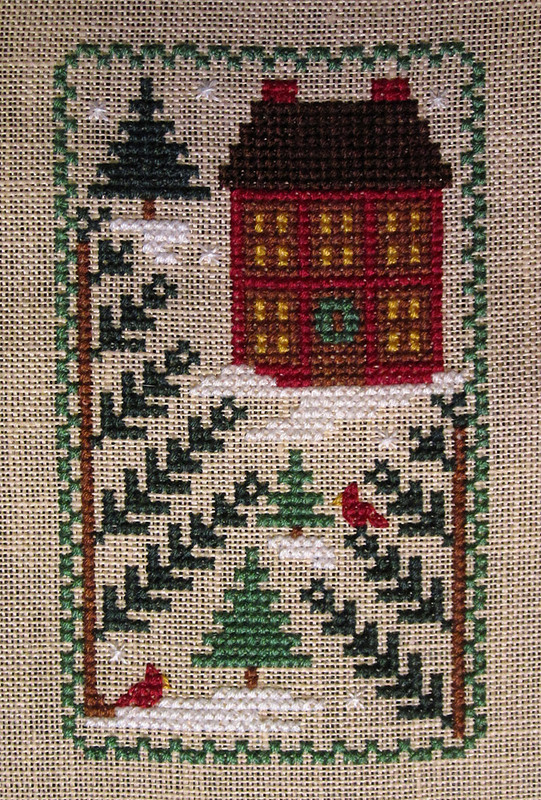 (They are similar designs to the Fifteen Year Christmas Ornaments, but hopefully they won't take me that long to finish!). And finally... yesterday was my fourth anniversary of starting this blog! 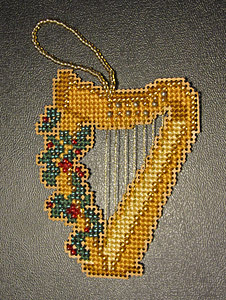 I had some stitching stuff posted to my personal blog before, but I split it off to be its own thing four years ago. It's been a lot of fun going back through and writing up all my old projects and it's been very valuable in keeping track of current projects, so I'm really glad I started it! Happy 4th Blogiversary! Thanks for the inspiration to stitch!